SEOUL (Reuters) -- Hyundai bucked sluggish markets in Europe and China and boosted sales in the United States, driving quarterly net profit up by almost a third to $2.15 billion, its highest since changing accounting methods a year ago. The South Korean carmaker, which with affiliate Kia Motors is the world's fifth largest, said it expects to beat its aggressive European target to boost car sales by 15.4 percent to 465,000 vehicles even though the market is forecast to fall 5 percent. The European car market slid 8 percent in the first quarter, but Hyundai managed to boost growth helped by new models such as the revamped i30 compact hatchback, Hyundai's best-selling model in Europe, which sold 101,328 last year, according to market researchers JATO Dynamics. In Russia, a developing market that Hyundai must expand in if it's to meet its aggressive European target, the carmaker grew sales 50 percent in the first quarter to 41,174, according to figures from the Moscow-based Association for European Businesses (AEB). Sales of affiliate Kia rose 30 percent to 39,310 in the same period. Hyundai and Kia are currently the No. 3 and No. 4 best-selling automakers in Russia, behind top seller Lada and No. 3 Nissan. 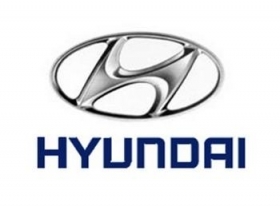 January-March net profit at Hyundai jumped to 2.45 trillion won from 1.88 trillion won a year earlier, well ahead of a consensus forecast of 2.07 trillion won from Thomson Reuters. "There's no reason why Hyundai can't continue this upward trend in the second quarter. The U.S. market looks fine and although there are slowdown concerns in Europe and China. In China foreign brands like Hyundai are performing well," said Kim Dae-hwan, fund manager at Shinyoung Asset Management. Once derided for its poor quality, boxy cars, Hyundai, under Chairman Chung Mong-koo, has moved up the quality ladder and is envied by rivals for offering stylish models at affordable prices even during an industry downturn. Its operating margin of around 10.5 percent is more than four times that of Toyota. The carmaker has also benefited from a cheaper South Korean won and free trade deals with Europe and the United States. After a period of breakneck growth, Hyundai's engine is slowing, but not stalling. Net profit is expected to grow 9 percent to a record 8.85 trillion won this year, though that pace of growth will be just a quarter of last year's, according to Thomson Reuters estimates. Hyundai's sales in its home market slid to 7 percent in the first quarter. A year ago, domestic sales accounted for 16 percent of Hyundai's total, and the captive market - where 8 out of every 10 cars is a Hyundai or a Kia - has helped fund the group's overseas growth. On an earnings call, Hyundai's Chief Financial Officer Lee Won-hee said global demand for cars this year would increase by 5.6 percent - more than has generally been forecast - driven by the United States and China. "There are few risks for Hyundai's strong growth momentum," said Kang Sun-sik, a fund manager at Woori Asset Management, which holds Hyundai stock. "Its overall sales remain strong globally thanks to improving brand and quality, the won is trading relatively cheap and its key rivals, especially Japanese, continue to struggle. "It will take a while for the Japanese to fully recover and, until then, Hyundai/Kia will probably be the best auto stocks with a promising earnings outlook." Hyundai increased its Chinese sales in January-March, in a market that shrank 1.3 percent, analysts have said. The automaker plans to start production at new plants in China and Brazil this year, after a new factory went into production in Russia last year, but it has capped its global production capacity at 7 million vehicles, saying it doesn't want to follow Toyota, once its benchmark, which suffered from a major recall crisis after it ramped up global capacity. In the United States, Hyundai, Ford and others have also upgraded their 2012 sales goals after an unexpectedly strong first quarter as drivers finally put the 2008-09 downturn behind them and began replacing aging gas guzzlers. Hyundai increased its U.S. sales by 15 percent in January-March, edging the overall market's 14 percent gain, but its market share slipped to 4.7 percent from 5.1 percent as its stretched production capacity meant it couldn't readily boost output. The company's registrations in the 27 EU countries plus Switzerland, Norway and Iceland rose 12.5 percent over the first quarter to 114,571 vehicles, according to industry association ACEA.